The Eighth Durham Blackboard Users’ Conference took place on Thursday the 13th and Friday the 14th December 2007. The conference was a mix of invited speakers, panel sessions and submitted papers. Blue Skies: Anything goes in this forward-looking, “wouldn’t it be nice if we could…” type strand. We encourage proposals where people’s ideas aren’t constrained by/restricted to the current technologies. Challenging Pedagogy? : We’d like to see some examples of successful learning achieved through the conscious application of some pedagogical principles, or equally, discussions of how your model of learning has adapted to meet the challenge/opportunities of technologies such as social networking. Connecting People: Using technology to support communication between individuals, whether that is timetabled or informal, staff to student or peer to peer. Connecting to Services: Innovative applications where joining users to different tools or technologies has helped achieved deeper learning – be it your student record system or Second Life! Our first keynote was Dr Sian Bayne is a Lecturer in Higher and Community Education at the University of Edinburgh. She is interested in how internet technologies subvert, challenge and bring into question the process and project of higher education. From that starting point, she runs an online Masters programme in E-learning at the University of Edinburgh, and researches some of the ways in which the internet prompts us to re-think what education is and can be. At present, this research is focused around social media and the ways in which online higher education and lifelong learning are engaging with it. Our second keynote was Lawrie Phipps who is the Programme Manager for the JISC Users and Innovation Programme. His background is in Environmental Sciences and Learning Technology, working on various projects and programmes supporting and enhancing learning and teaching in Higher Education. His most immediate previous role was in advising staff on supporting disabled students through the application of technology. His current programme (Users and Innovation) is looking at emerging technologies (some of which are characterised by the phrase Web 2.0) and the role that they may play in education. Lawrie is a registered practitioner with the Higher Education Academy, and member of the Staff and Educational Development (SEDA) Executive Committee. The year’s programme will be a mix of keynote speakers and parallel strands, to allow delegates to select the most appropriate conference path. 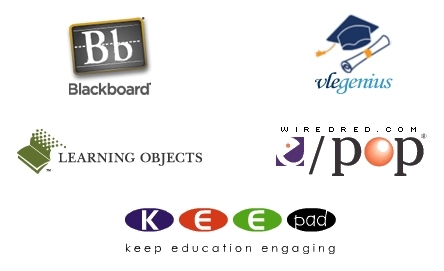 We are to include presentations, discussions and demonstrations plus a Roadmap Session from Blackboard. Our Conference Sponsors will be available in the Exhibition areas during the two days for informal chats and demonstrations. The VLE is dead! Long live the PLE! Drinks reception starts at 7.15, the meal commences at 8pm sharp! Fresher’s Week 2012/13: Welcome to the Dark Ages? iPocalypse Now or Brave New eWorld? How do you enhance your Blackboard course for the mobile learner?